In 1587, more than 100 men, women, and children sailed from England to Roanoke Island to establish the first English settlement in America. Within three years, they had vanished. Their disappearance remains a mystery. This settlement is now known as the "Lost Colony". 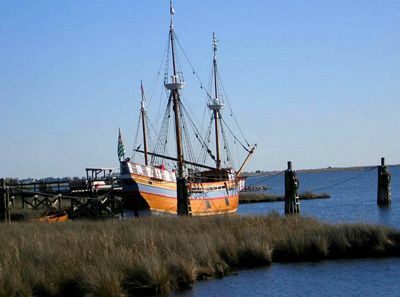 Today, this island in Dare County is a popular place for recreation, water sports, historical sites, and an outdoor theater that features the longest-running outdoor theater production in America, "The Lost Colony", based on the mystery surrounding the early settlers. 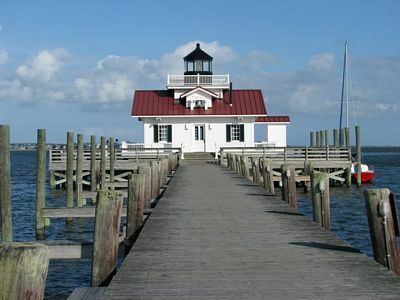 Located along US Highway 64, a major highway from mainland North Carolina to the Outer Banks, Roanoke Island is about eight miles long and two miles wide, and lies between the mainland and barrier islands, Albemarle Sound and Roanoke Sound. Fort Raleigh National Historic Site and the North Carolina Aquarium on Roanoke Island are located there. Other attractions include Elizabeth II, a 16th Century Representative Ship, American Indian Town, Roanoke Adventure Museum, and a Settlement Site.